Very tender center piece for your next dinner party. 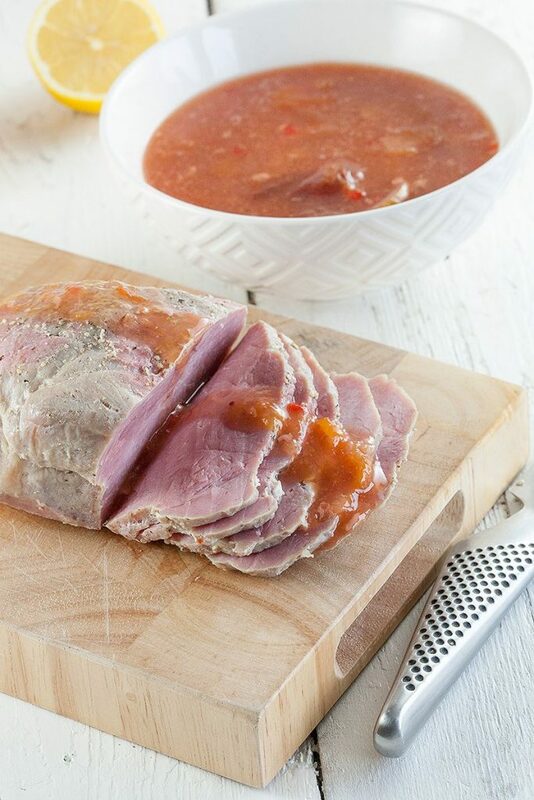 Slow cooked ham with plums and lemon is made in a slowcooker, so it's super easy. RINSE the plums, remove the pit and cut them into quarters. REMOVE the seeds of the chili pepper and slice the pepper into pieces. SQUEEZE the juice from 1 lemon and combine with about 3 tablespoons of honey and the pepper pieces. SLICE the second lemon into slices. 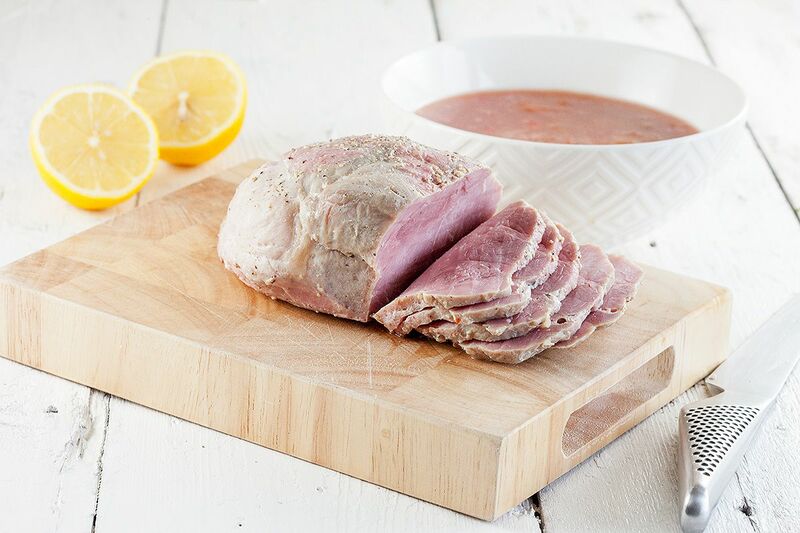 SEASON the ham with pepper and salt on all sides. 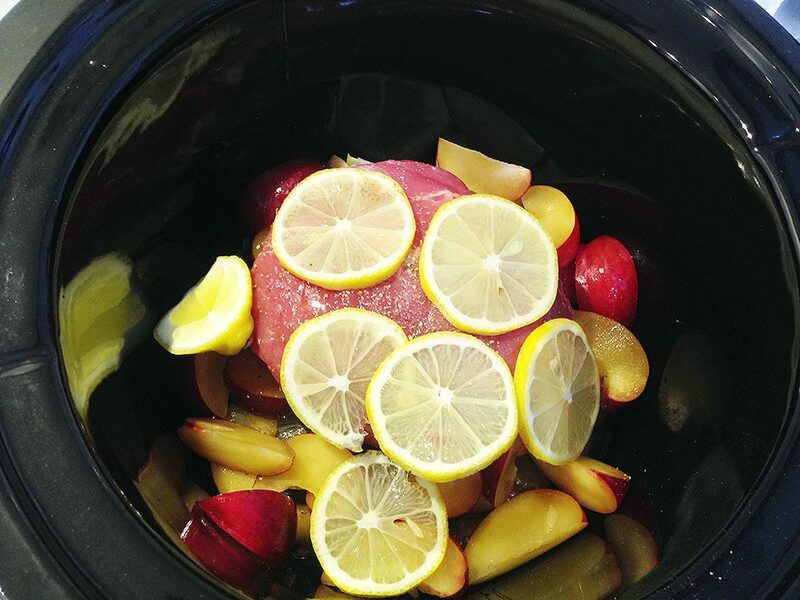 PLACE the ham into the slow cooker and pour the lemon and honey over the ham. 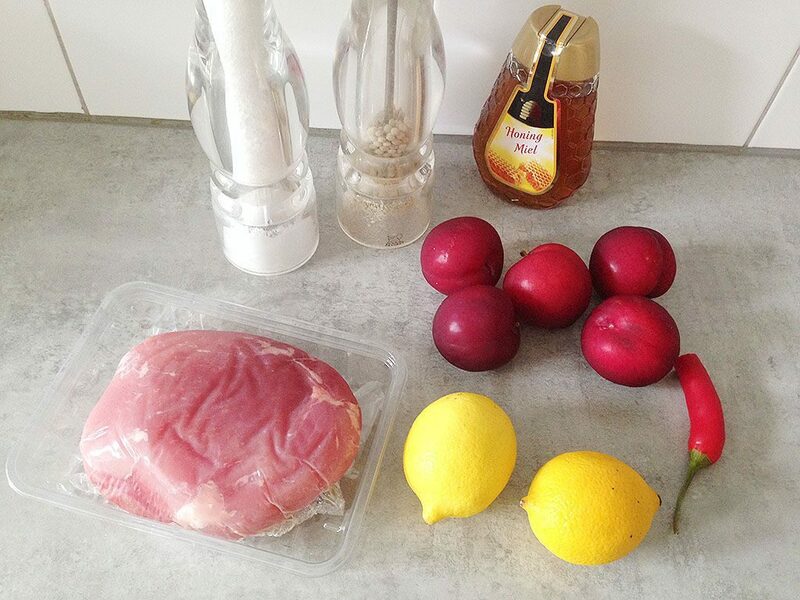 DIVIDE the plum quarters and lemon slices all around the ham. SET the slow cooker on the lowest setting for about 3 hours. Check if the ham has a temperature of 53 degrees, because the ham should still be rose. 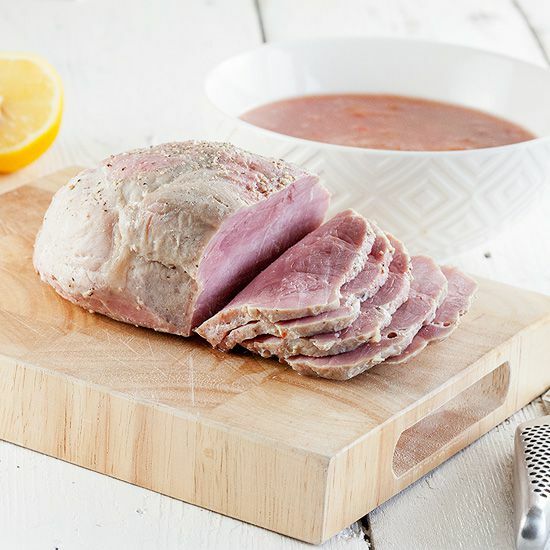 REMOVE the ham from the slow cooker, wrap with tin foil and let it rest for about 10 minutes. You can choose to use a thickening agent for the plum and lemon juice to create a sauce, you can also just use it as it is. Serve with roasted potatoes and green beans or any other veggies you prefer. Enjoy!